Tight end Rob Gronkowski is out of the lineup for Thursday's game against Tampa Bay with a thigh injury. 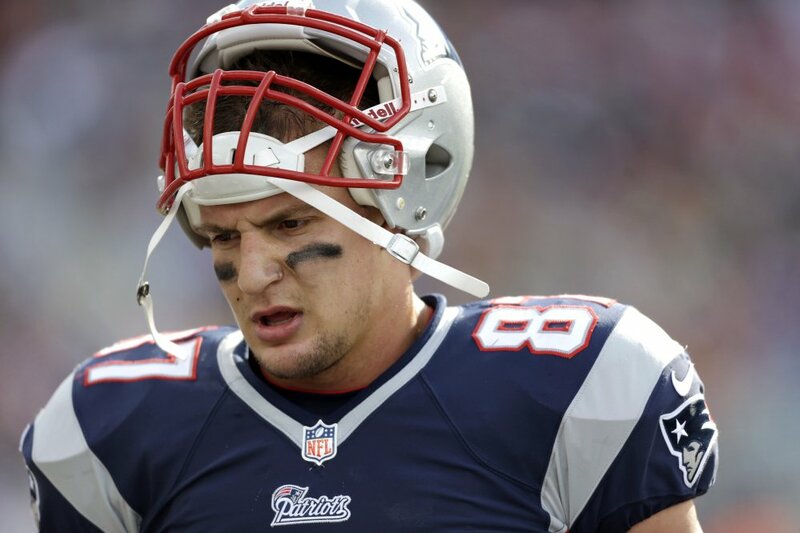 TAMPA — The New England Patriots will be without Rob Gronkowski for Thursday night’s game against the Buccaneers. Gronkowski was placed on the injury report with a thigh injury on Wednesday. The Patriots have two tight ends on the roster, including Dwayne Allen and Jacob Hollister for the game. Allen, despite playing a decent amount each of the four games, has no receptions. Hollister, an undrafted rookie, has two catches for 24 yards.